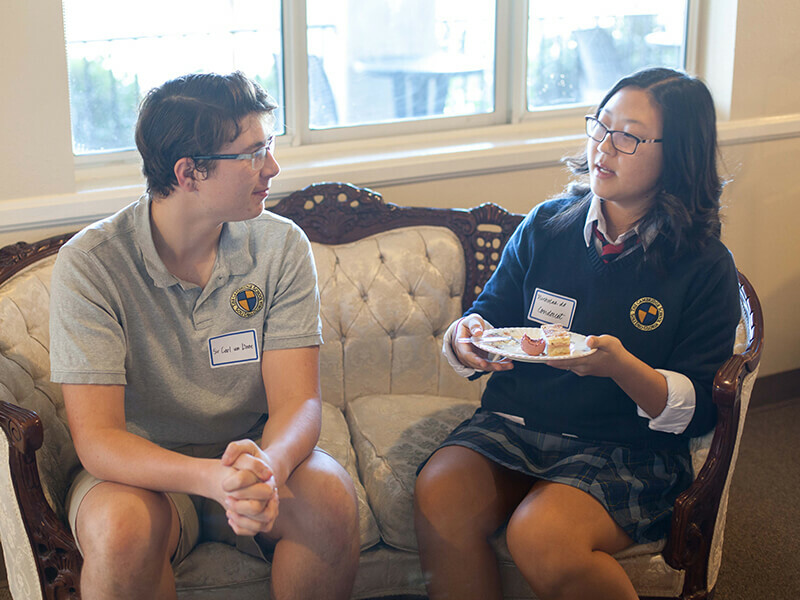 The Cambridge School seeks to provide a distinctly Christian education in the classical tradition which equips students to know, love, and practice that which is true, good, and beautiful and thus prepares them to live purposefully and intelligently in service of God and neighbor. 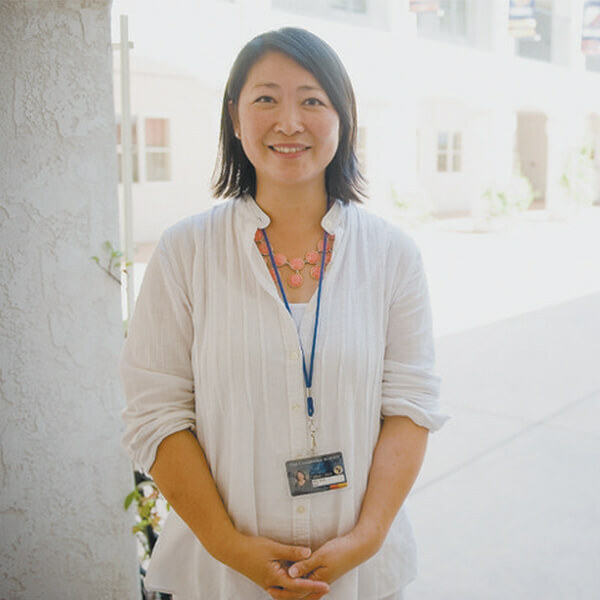 Having attended an elite independent school and then Yale and having been an educator her entire professional life, Jean Kim was a parent looking for an education that would teach children how to think and not just what to think. She could not find a single school that was doing this well. The historic liberal arts model of education—an education that was both classical AND Christian from inception to daily expression—captured her imagination. And by God’s grace and through the tremendous efforts of an incredibly passionate, mission-driven community of board, faculty, and parents, The Cambridge School opened its doors to 9 students in Kindergarten Prep through 1st grade in the Fall of 2006 in a few rented rooms. Building this school has been an exercise in patience and delayed gratification; we have built the school slowly, deliberately, and solidly so that we might reap the rich rewards of seeing our students grow to think well and live wisely. We are thrilled indeed to see the fruits of our collective labors and God’s grace in the kinds of students we have and the community we’ve fostered and strive to cultivate for years to come. 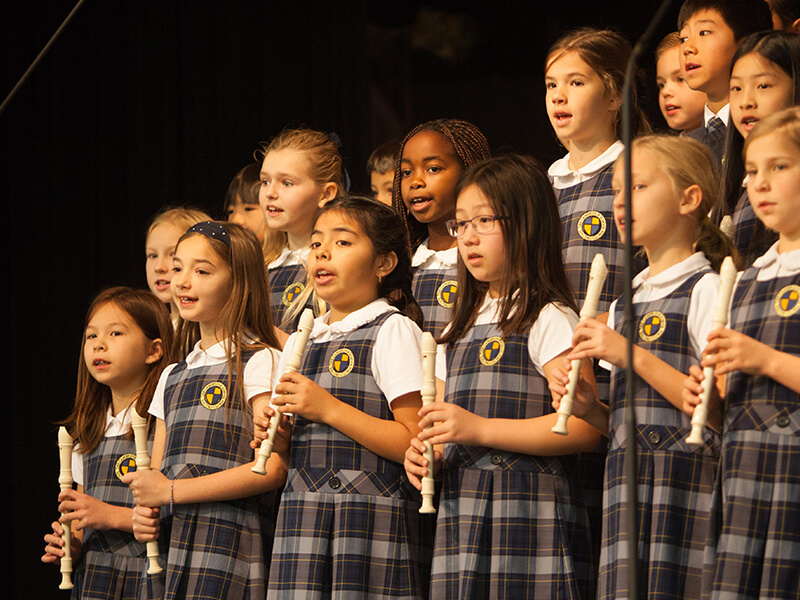 The primary goal for our Grammar school is to build foundations with great intentionality, cultivate wonder for the beauty and order of God and His creation, and delight in the true, good, and beautiful. 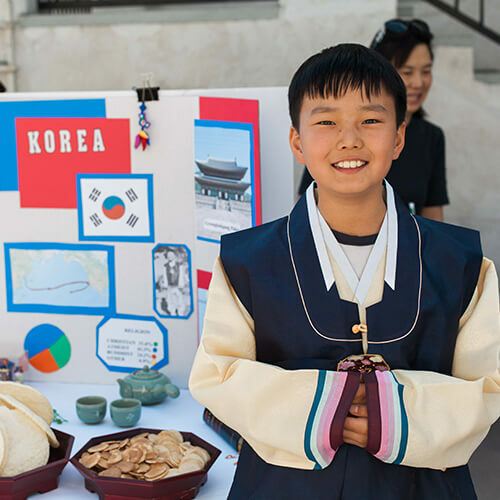 Every aspect of the student and families’ educational experience has been intentionally cultivated over time and refined every year. 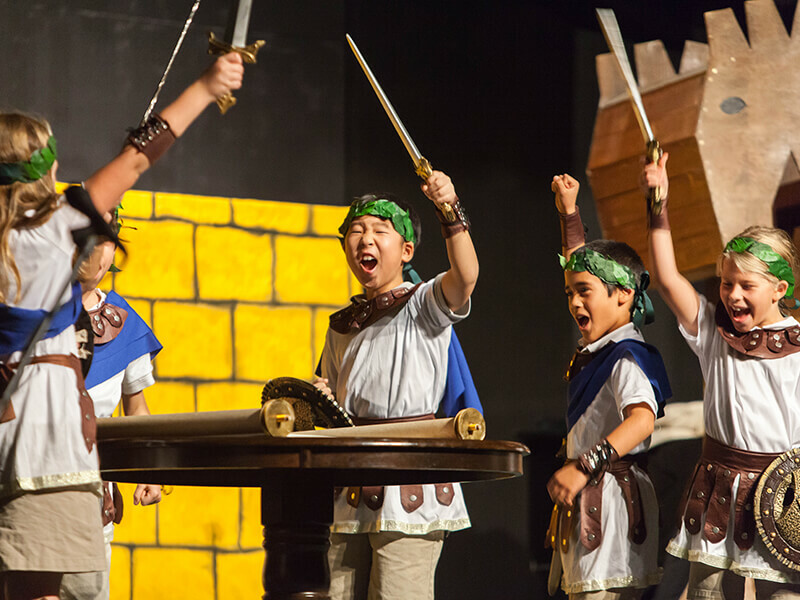 When children become naturally argumentative, the Logic stage teaches students to engage in debate and discussions thoughtfully and charitably. Students are taught Socratically and are trained in Informal and Formal Logic. This Logical training spans all disciplines and is cultivated in tandem with humility, charity, and virtue. The culmination of a slow and intentional education, the Rhetoric stage introduces greater nuance and further complication to the foundational skills gained in the previous stages. This Rhetorically oriented education strives to cultivate students who are fluent in multiple literacies and equipped to thoughtfully dialogue with the many competing voices around them. Committed to a robust anthropology, Cambridge endeavors to teach the whole student through embodied learning experiences and a sensitivity for the complexity of human nature: its dignity as well as its frailty. While we pursue academics vigorously, we recognize that people are more than their knowledge, and we intentionally concern ourselves with the maturation of character. Learning isn’t merely about the what, but also about the who. The Cambridge School seeks to become an educational institution of scholastic and cultural gravitas, of extraordinary and exemplary virtuous scholars, a formidable force in the expansion and enrichment of Christ’s Kingdom, in the life both of the individual and the world. 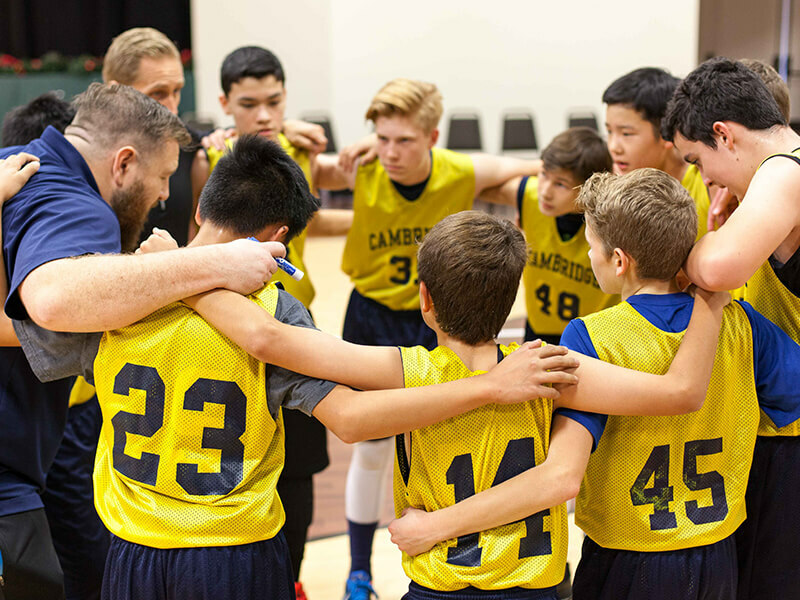 The Cambridge School seeks to instill in the educational community it cultivates an enduring love of learning, a commitment to serve others and a dedication to the pursuit of religious truth, moral goodness and aesthetic beauty, forged from historical models of orthodox Christianity. We believe in the Bible in its entirety, consisting of the 66 books of the Old and New Testaments, as the only infallible rule of faith and practice and subscribe to the historic, orthodox expressions of the Christian faith as it is expressed in the Nicene Creed, the Apostles’ Creed, the Athanasian Creed as well as in the Westminster Standards (i.e., the Westminster Confession of Faith, the Westminster Shorter and Larger Catechisms), the Three Forms of Unity (i.e., the Belgic Confession, the Canons of Dordt, the Heidelberg Catechism), etc. We believe in the enormous influence of teachers. “Living Curriculum Teachers,” as we call them, are not just Christians, but mature, growing, passionate followers of Christ who desire to make a spiritual as well as academic impact. Our teachers understand that biblical integration and academic excellence are inseparable. They see teaching as a high calling and are animated by the promise of Christian Classicism. Our Teachers are people who inspire students to be passionate about pleasing God with their lives and gifts. Our teachers search for the best in students. They see healthy relationships with students as foundational to having meaningful influence. They believe in creating a nurturing environment, a place where every student has the opportunity to flourish. I’ve been to a lot of schools over the years, and all of them claim to have academic rigor, and after I’ve been here I will treat that claim with much more skepticism than I did in the past. You really have a pretty amazing program. 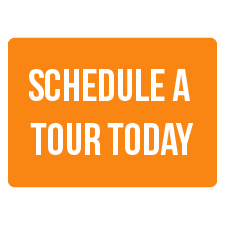 We are excited to show you what this educational experience looks like. 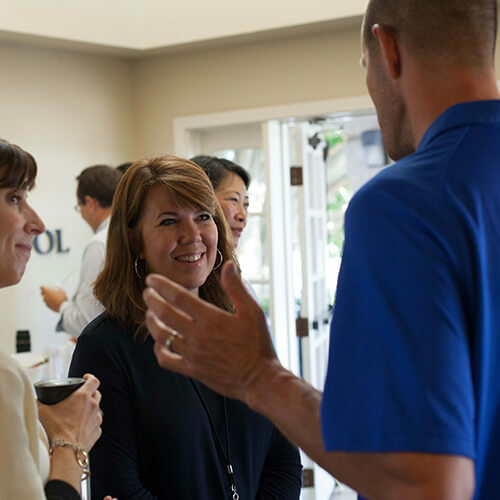 Meet our Living Curriculum teachers, interact with our vibrant students, and learn more about your family's place in this community of faith and learning. Are you ready to join a robust community of faith and learning? The only way to truly experience the unique educational environment cultivated at Cambridge, is to visit and see it for yourself.